Dr Sudesh Sivarasu’s path to becoming a prolific inventor of biomedical devices has had its twists and turns. As a child, he was mesmerised by the locomotives that thundered down the railways in his hometown near Chennai in India. He also loved to conduct experiments, especially if they included fire, which led to him almost burning down the family home more than once. UCT electrical engineer and senior lecturer Samuel Ginsberg has had a hand in inventing such diverse devices as a heat detector for informal settlements, an expandable surgical implant for children, a low-cost hearing aid and a wearable device that measures ambient CO2 levels. What does he think is the secret to successful innovation? On 26 August 2015 at 09:37, the Ascension III water rocket soared into the sky for the first time. It measured 2.68 m in length, weighed less than 1.5 kg and reached a speed of 550 km/h in 0.5 seconds. Most importantly, it shot to an altitude of 835 m, beating the previous world record by 217 m.
Assoc Prof George Vicatos works with orthopaedic surgeons and oncologists to design and develop implants that are unique to each patient. For a long time Associate Professor George Vicatos felt that he was missing some piece of knowledge that rendered his relatively vast education incomplete. Gravity, as a force to defy and as an inspiration, has been central to Adam van Niekerk’s interest in engineering and his fledgling career as an inventor. In fact, as a child he knew what it felt like to leap over tall buildings in a single bound. Back then, a 10-year-old Van Niekerk often volunteered as the pint-sized pilot for the projects he dreamed up with his older brother and father (both of whom are engineers). 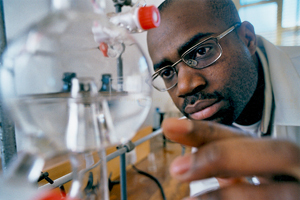 Growing up in the DRC, Lutete Khonde had no idea that a decade later he would find himself in Cape Town, dedicating his PhD research to finding new ways of making ergothioneine. Ergothioneine was first discovered a century ago when it was extracted in 1909 from a fungus known as ergot. It has only been in the last few decades, however, that scientists have become interested in the use of this amino acid within the human body. Inventor, Prof Kelly Chibale, of the Department of Chemistry and IDMM, has pushed drug discovery at UCT to a new level with the establishment of the H-3D Centre for Drug Discovery. The Centre's activities mirror those of a start-up biotechnology or pharmaceutical company - once medicinal chemistry starting points (hits) are identified they are progressed along the innovation chain to produce lead compounds and to further optimise these leads. 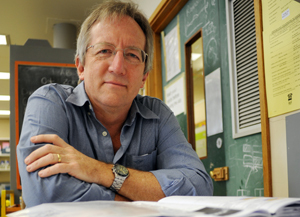 Prof Edward Rybicki of Molecular and Cell Biology (MCB), whilst being on A-rated scientist with a significant publication record is also one of UCT's most prolific inventors. Importantly too a number of inventors have been licensed commercially to top pharmaceutical companies, or are under evaluation in option agreements. Prof Anna-Lise Willamson of the Institute of Infectious Disease and Molecular Medicine (IIDMM) and team has achieved success with two preventative HIV vaccines entering the first stage of clinical trials - a first for Africa. HIV is not her sole focus, with other patents filed in Human Papillomavirus vaccines and a number of animal health vaccines. 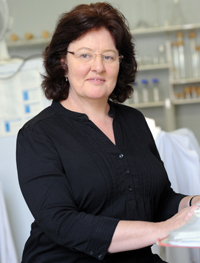 Her current focus is on continuing with BCG based vaccines and poxvirus vector development having assembled an extensive collection of avian pox viruses. 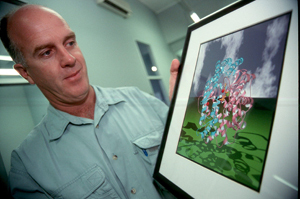 Along with his collaborators, Prof Sturrock published the first three-dimensional structure of angiotensin converting enzyme (ACE) in Nature in 2003. This protein plays a key role in blood pressure regulation. Based in the physics Department, Profs Margit and Harting and David Britton have amassed the largest "focused" IP portfolio at UCT. The portfolio comprises some 14 patent families associated with printed silicon electronics. Their innovation allows the electronic silicon nanoparticle ink to be printed on a substrate (eg. paper, fabric, etc.) where it works as a semiconductor, garnering the team several top industry awards. In 2012 UCT assigned the IP portfolio to the start-up company that the inventors have created-PST Sensors (Pty) Ltd. This company has a number of Joint Development Agreements with commercial partners to develop specific products, such as thermistors for temperature sensing. UCT is a shareholder in this company.